Educational Qualification:- Candidate should have possess B.Sc. chemistry / Botany / Zoology and 6Month experience in Sericulture or Post graduate Diploma in Sericulture (PGDS) from TNAU Coimbatore. Age Limit:- The age of the candidate should not less than 18 years and should not more than 30 years as on 1st July 2015. Educational Qualification:- Candidate should have passed 10th class (Matric/SSLC) and 6months experience in Sericulture or 6month training Course for non – graduate holders from TN government Sericulture training institute. 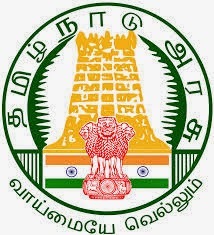 Application Fee :Candidates are required to pay application fee of Rs.500/- through demand draft drawn in the favor of “Director of Sericulture” payable at Salem. Selection Procedure :The selection of the candidates will be on the basis of written examination and personal interview Conducted. How to Apply :Candidates may apply online through in www.SericultureExam.com from 13th January 2016 to 27th January 2016 and also send the hard copy of filled application along with self – attested copies of certificates along with demand draft to Directorate of Sericulture, Salem:- 636007 (Tamil Nadu) on or before 28th January 2016.